In Bury, Rochdale, Burnley and surrounding areas. We have a variety of after school programmes, 5, 6 or 7 weeks. The programme is paid for by parents and costs just £4.50 for a 5,6 or 7 week programme.. Feedback from previous clubs shows parents find this great value for money. 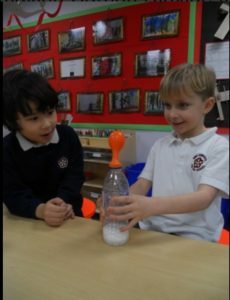 For more information or to arrange an after school programme, email bury@fun-science.org.uk or call 07446 149750/ 07494 415066. Not based in Bury, Rochdale or nearby? Click here to find your nearest branch.